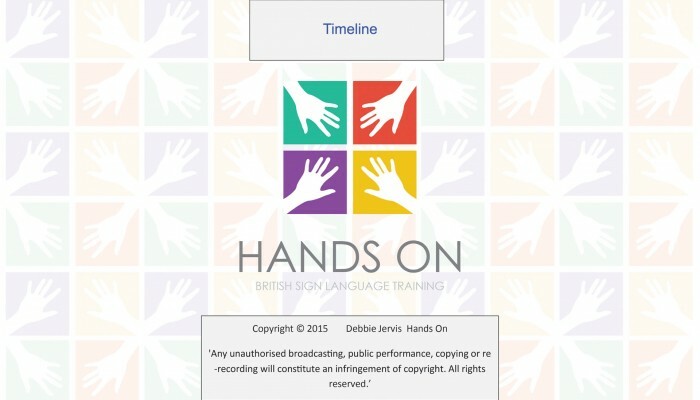 Hands On is a BSL Training organisation based in Northumberland, England. We offer a range of British Sign Language courses, from beginner through to advanced courses. Why not come along to one of our free informal taster courses? Or, contact us today to find out more! Our courses are ran by North East Regional Teacher of the Year 2014. We run a variety of courses across the North East of England. Get in touch today to find out more! Learning BSL level 2 with Debbie has been brilliant. I really enjoyed the classes as we had plenty of opportunities to practise our signing in the classroom, as well as social gatherings with Debbie’s friends who are also deaf. These classes have allowed me to gain confidence signing. Debbie’s teaching method’s are excellent, the powerpoint handouts with pictures of signs are extremely helpful as they allow you to practise at home. The homework which was regularly set was helpful as it allowed me to use the signs which had been taught and receive feedback in class to ensure my sign context and hand shapes were correct. 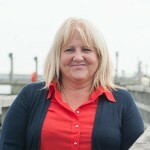 Debbie is a friendly and approachable person therefore I always felt comfortable to ask for additional support. 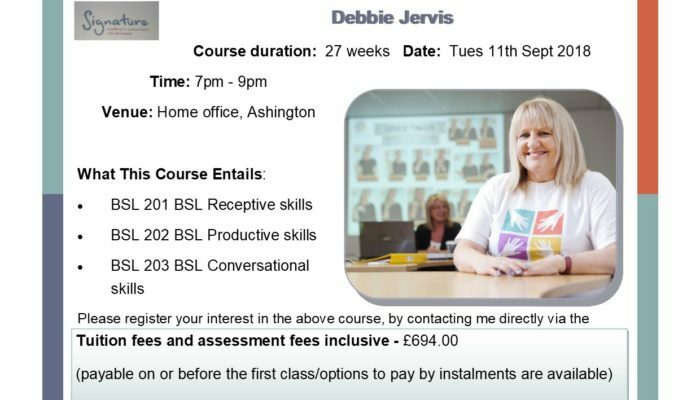 Overall I would definitely recommend anyone wanting to learn BSL to go with Debbie as she is a brilliant teacher. You have shown immense patience in teaching this ‘oldie’ and I appreciate that very much. I have found your classes to be interesting and rewarding. Your imaginative use if various teaching methods is to be commended, particularly the shopping trip – although I have to admit I was exhausted by the end of it! It is evident that you also take pleasure in educating the hearing about deaf culture and made sense of a lot of signs and their origins such as place and country signs. Otherwise I would like to think I have made new friends and we all keep in touch to maintain our new found language. I really have nothing to complain about. I enjoyed every class. Homework was really good, made me practice and that’s what it is all about really. Assessment prep was just right I think. Plenty handouts they really helped too. The room, facilities, everything I found comfortable. Nervous at first asking you questions but only because I wanted you to understand me. You were always very helpful and spot on. I have enjoyed everything about the course, meeting new people and meeting you. Hands On offer Level’s 1 & 2 BSL Signature accredited courses throughout the North-East and Northumberland area. Hands On offer a variety of British Sign Language taster courses across Northumberland and the North East. 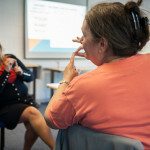 Hands On offer a range of Deaf Awareness courses tailored to both Corporate and Community sectors. Intensive courses offered. Hands On offer specialist support work to select groups, i.e. people with learning difficulties. We also work within Specialist schools. 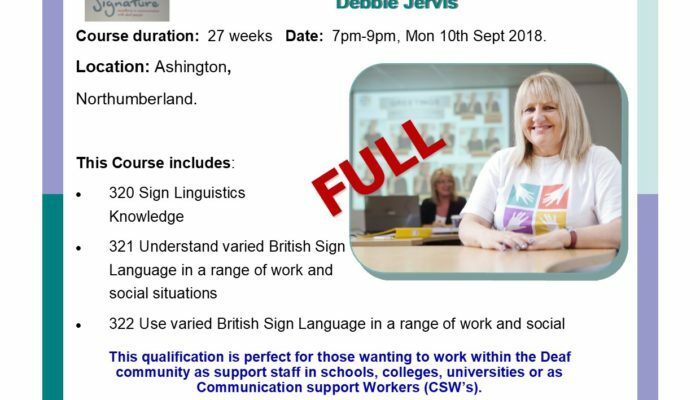 Hands On offer one to one personalised BSL Tuition to learners of any level, beginner or advanced. Hands On works with community groups such as local Girl Guides, Brownies and Scouts. We also work out in the community at specialist events and open days. Contact us for more details. Hands On offer courses to frontline staff. Previous clients include Local Authority, Residential Care, Private Care, RAF. Contact us to book your course today. 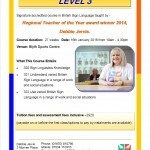 Debbie Jervis is the only qualified British Sign Language tutor in Northumberland.